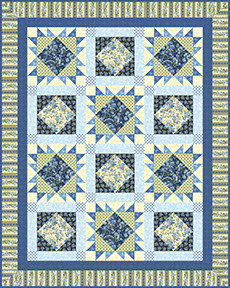 Gorgeous blues and yellows are so cheery! It's one of our favorite color combinations, and we've used it in the Gabrielle collection. 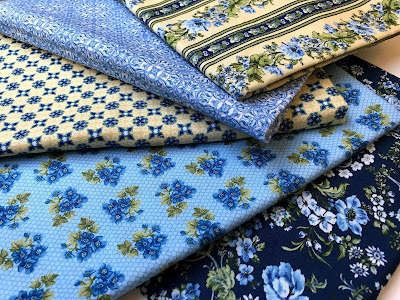 Large and medium florals mix with geometric mini prints, tonals, and a fantastic floral stripe. 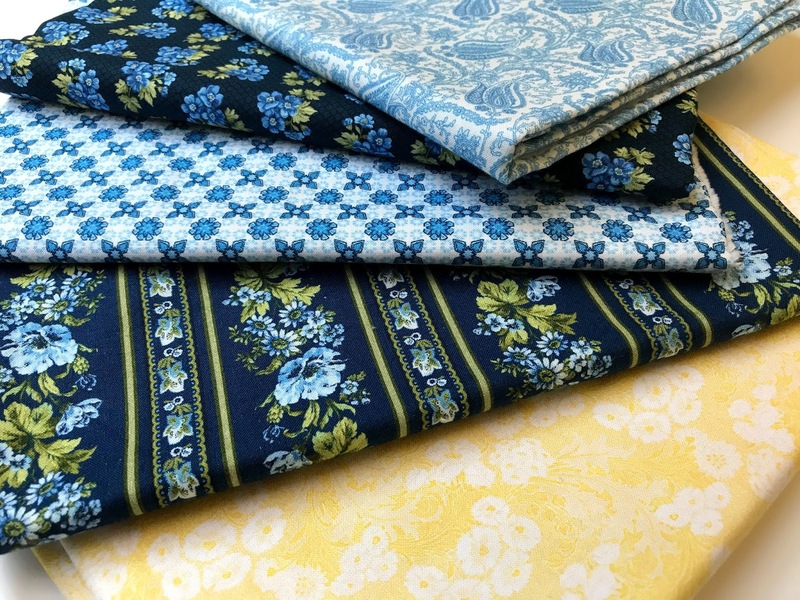 Use these fabrics for a bedroom redo, a cozy quilt for the sunroom, or kitchen accessories! Download our free quilt pattern, Signs of Spring, to make your own quilt using the classic blues and yellow from the Gabrielle collection! Click here to see the entire Gabrielle collection. 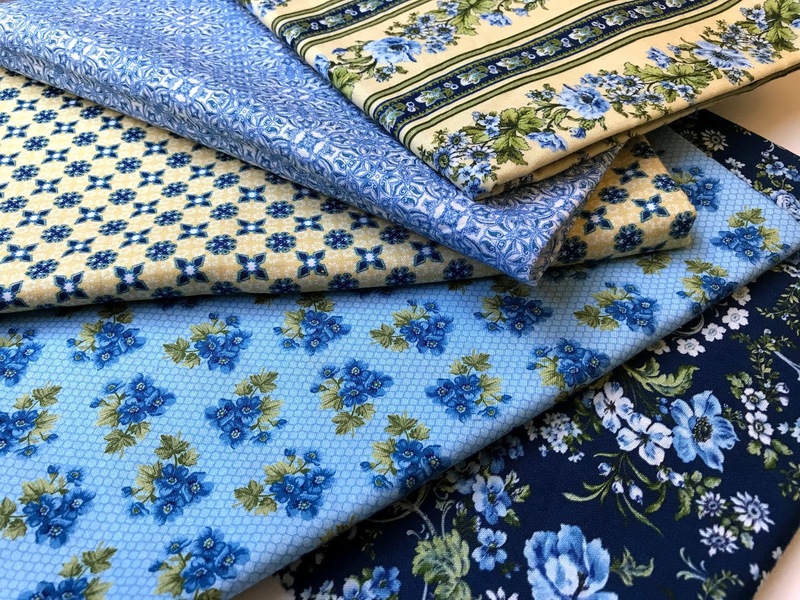 Those fabrics are really pretty. Great pattern too.